Gun violence survivors need your help. Here's how. "Survivors of gun violence are all different. Some find the strength to move on and try to create light in their dark world, some can't find the will to get out of bed and are overcome with grief and pain. I don't think it is fair to generalize since people respond to tragedy so differently, so I'll tell you what I think. "Support for me includes taking time to listen. Listening and learning about the person whose life was lost and what bright light they brought into the world. Stories help keep memories alive and personally, when I share stories about my dad and describe the kind of person he was, I feel like I help spread his positive energy and outlook to others." - Dana Horowitz, daughter of Bruce Horowitz who was shot and killed in Stamford, CT when Dana was 16. Gun violence survivors need our help. Here's how. 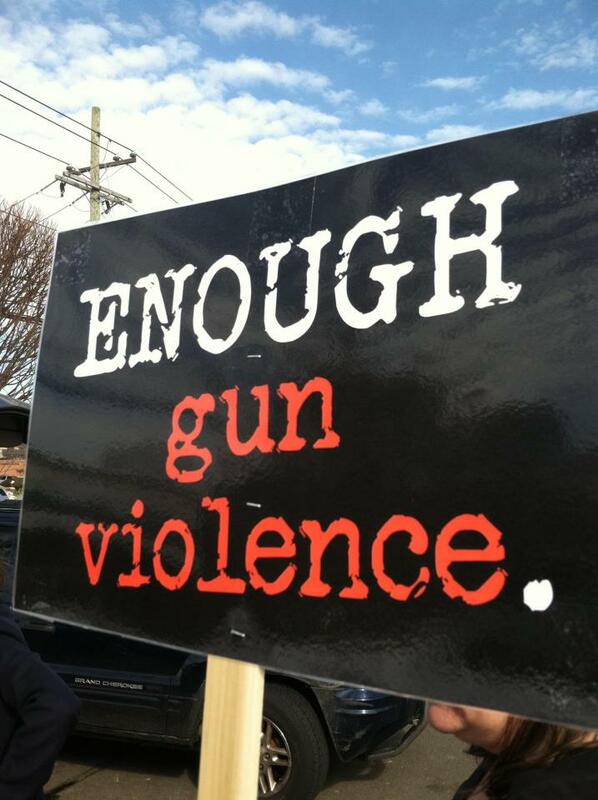 Gun violence survivors need to be heard, encouraged, and validated. They understand the pain that survivors suffer through each day and the bravery it takes to find and use their voice. Sandy and Lonnie Phillips, whose daughter, Jessi (pictured) was killed five years ago during a mass shooting in a theater in Aurora, Colorado, have launched the nonprofit Survivors Empowered, which aims to help people navigate the healing process after a mass shooting. Their organization empowers survivors of violence to use their stories to create a reduction in violence. They have also created a "Rapid Response Team," which dispatches volunteer survivors to help new survivors cope with the aftermath. “You never get over it,” she says, but the group will help people cope in various ways, such as connecting them with therapists, trauma specialists, and support groups. “We will help them find the tools they need,” she says. For those who want to become activists, the organization will help them contact local or national lawmakers and tell their stories. Sandy says she will encourage people to “speak authentically and from the heart,” noting that “some of the larger gun-safety groups try to control the message” by scripting what people say. “We’re not going to try to control what people say,” she says. “It has a bigger impact when people tell their story how they want to tell it.” Read the full NY Times article about how Sandy and Lonnie are helping survivors here. YANA of Bridgeport - You Are Not Alone.  Y.A.N.A. stands for “You Are Not Alone.” Their mission is to provide emotional and spiritual support to families who have been hit with tragedy in and around the city of Bridgeport, CT. Through the healing of these families, they hope to save and prevent another child from becoming the next statistic. Y.A.N.A. was founded by Dawn Spearman, whose mother accidentally killed her own brother when Dawn was 13 years old. Years later, gun violence claimed her first husband, who was shot and killed while walking down the street. From the foundation of Y.A.N.A., member and volunteer Tye Samuel branched out and founded the Y.A.N.A. Sisterhood. This group is for adolescent, preteen, teen and young adult girls between the ages of 11-18 yrs old. Members of Y.A.N.A. provide prayer and comfort to family members who have been struck with tragedy, conduct support meetings for families who may need to talk, cry or just be around others who have experienced the same loss, hold educational youth summits, conferences and forums, attend rallies and marches to end violence, visit survivors, and more. Charlotte Helen Bacon was a precocious, independent, and joyful 6 year old. Charlotte died on December 14, 2012 at Sandy Hook Elementary School in Newtown, Connecticut. Her family founded the CHB Foundation which helps to fund different programs and organizations that support animals, children and families. Created in her memory, The Charlotte Helen Bacon Selah Scholarship is a scholarship that will help a bereaved couple that is grieving a death of a child. The couple will attend the annual Selah Retreat offered through the MISS Foundation. Selah translates: Pause, Reflect – Fully Inhabited Grief. The MISS Foundation has been a great source of support to the Bacon family. They are honored to help another family discover the MISS Foundation and support this family’s grief journey as they honor and remember their beloved child. For more information on the Selah Retreat or to donate to the Charlotte Helen Bacon Selah Scholarship, please visit the MISS Foundation. 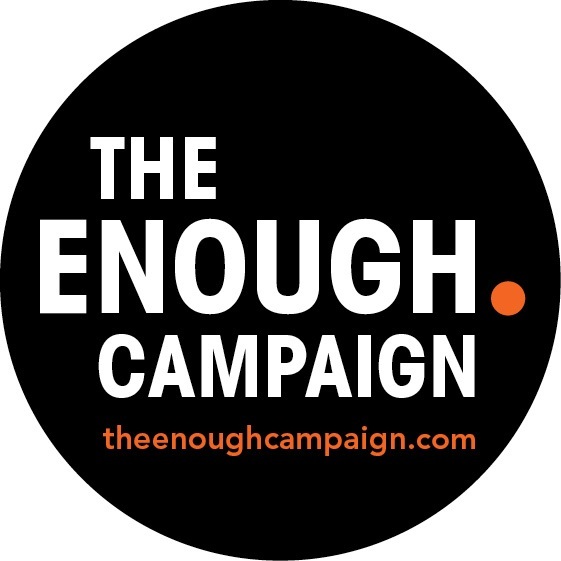 In an accompanying theme to supporting survivors, The ENOUGH Campaign follows the important guideline of #NoNotoriety. No notoriety means don't name the murderer that took lives, and call out journalists and media outlets who name them, wrongfully giving a voice and legacy to the shooters. 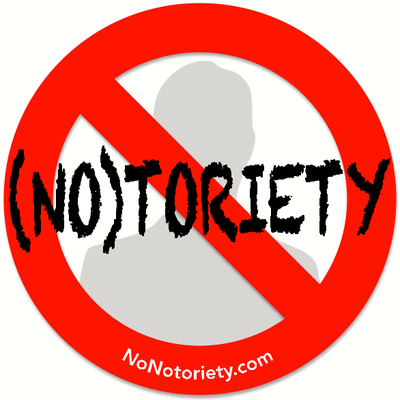 The focus of the No Notoriety campaign is to shift the media focus from the suspects who commit these acts to the victims, survivors, and heroes who stop them. Founded on July 20, 2012 by Tom and Caren Teves immediately following the murder of their first born son Alex Teves by a rampage mass killer. 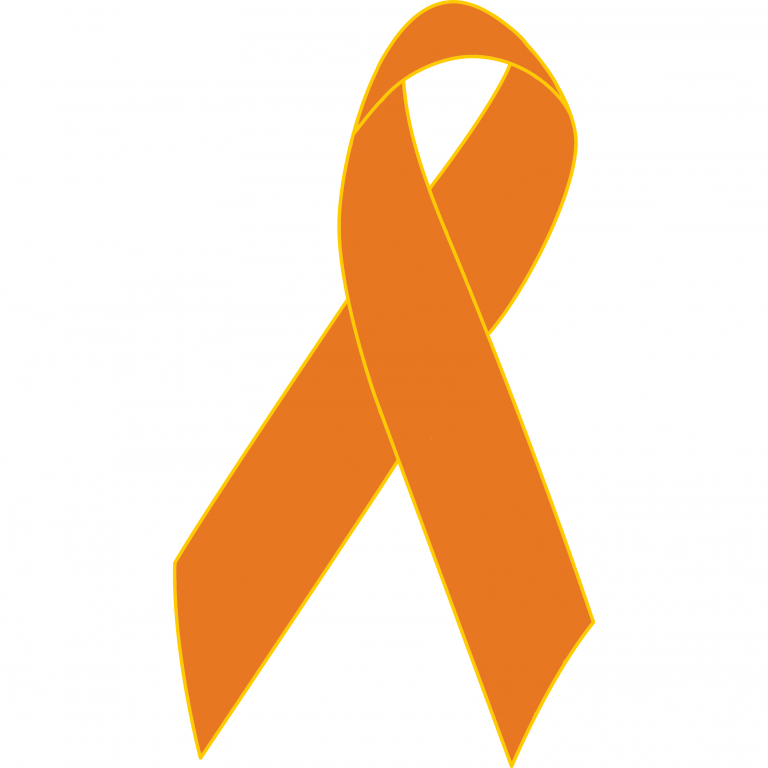 Alex was one of 12 individuals killed and over 70 shot and injured in the Aurora theater shooting on July 20, 2012. The goal of No Notoriety is to reduce the amount of rampage mass killings that have escalated in both occurrence and severity over the last 15 years. Research and ensuing data support the fact that infamy and notoriety is a motivational factor for individuals to commit rampage mass murder to elevate themselves to a level that they cannot achieve in a normal fashion through their everyday lives. Keeping the focus on survivors saves lives.